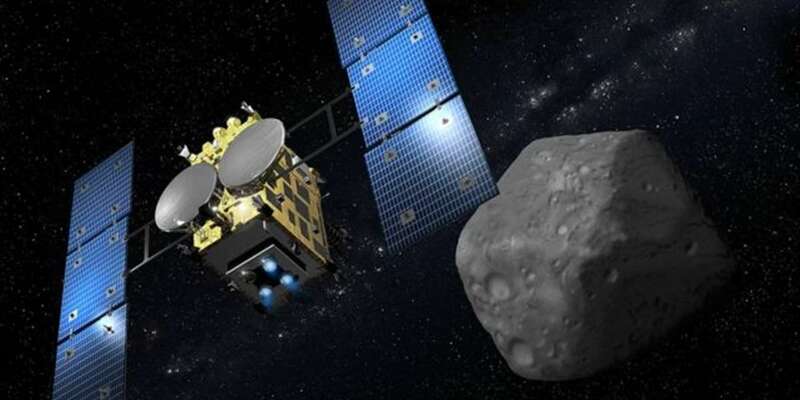 Two days ago the Hayabusa 2 probe, built by the Japan Aerospace Exploration Agency (JAXA), reached the Ryugu asteroid, from which it is expected to collect samples and return them to Earth. 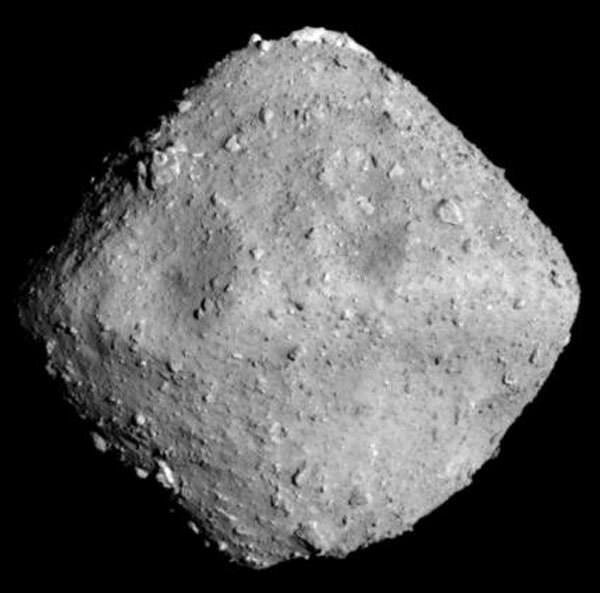 Ryugu is an asteroid from the Apollo group (a group of asteroids close to Earth) that travels around the Earth for 1 year and 109 days at an average distance of 1.19 astronomical units. One astronomical unit corresponds approximately to the average distance between the Earth and the Sun. The name "Ryugu" comes from the Japanese word Ryūgū-jō, the name of the underwater palace of the ruler of the sea in one of the Japanese legends. Hayabusa 2 launched on December 3, 2014 from the Tanegashima Space Center on board a Japanese rocket H-IIA. While travelling to the asteroids of Ryugu, the probe traveled many millions of kilometers including a flight near the Earth on December 3, 2015. At present, the probe is about 20 kilometres above the surface of Ryugu. Analysis of fragments of the old carbon-rich Ryugu can give scientists a better insight into the past of the Solar System and the history of life's origins. Samples can help to confirm that asteroids contain simple sugar called ribose, which is an essential chemical component in the cells of any earthly organism. There is a possibility that the ribose came to Earth from another place in space, and did not form here by itself. The sampling itself will be carried out in a very interesting way. There is a small impactor on board the probe which will be launched using pyrotechnics to form a small crater on the asteroid. The probe will then take samples of the matter thrown out from below the surface of the asteroid. The weight of the samples taken shall be about 10 grams. In addition, Hayabusa 2 will leave there a small MASCOT (Mobile Asteroid Surface Scout) landing device, which was designed by the German Aerospace Center (DLR). Its task will be to show the ability to travel on the asteroid surface.